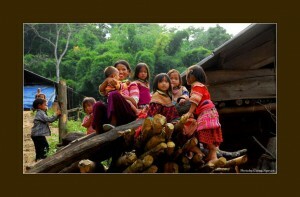 Adventure Vietnam (adventurevietnam.com) invites travelers to join its new Volunteerism program named “EXPLORING VIETNAM’S CHARM – BRINGING SMILES AND HAPPINESS TO DISADVANTAGED PEOPLE”. With understanding that not all our volunteers can spare several weeks to work on a community projects, but would dearly love to give a little something to Vietnam. Adventure Vietnam has designed an itinerary which allows travelers to spend a couple of days volunteering as well as time to explore. Within 8 days 7 night, this community trip highlighted by bringing smiles and happiness to disadvantaged children; experiencing living in this bustling, vibrant city ? a lifetime of memories; exploring the city’s markets – a truly Vietnamese experience or staying in a family run hotel and experiencing real Vietnamese hospitality. As a partner of Adventure Vietnam (adventurevietnam.com) you will receive a NET rate option which will allow you to independently promote and sell the program as a representative of your country of residence.